Prairie Lakes Unit is 8,000 acres of very pretty Floridian landscape, an oasis within the vast Three Lakes WMA (Note: WMA is Wildlife Management Area, seasonal hunting is always allowed in this type of area). The Three Lakes WMA encompasses over 62000 acres; its northern border is up off RT441, while the southern border is almost down to RT60. Three Lakes WMA gets its name from the three large lakes that exist within its borders. Considerable hunting is done in sections of the WMA, so stay informed and hike wisely. Prairie Lakes is located approximately in the middle of the Three Lakes WMA, with areas on Lake Marian, Lake Jackson and Lake Kissimmee. The entrance to Prairie Lakes Unit is off Canoe Creek Road. You must stop at the station just down Prairie Road to pay the required entrance fee. 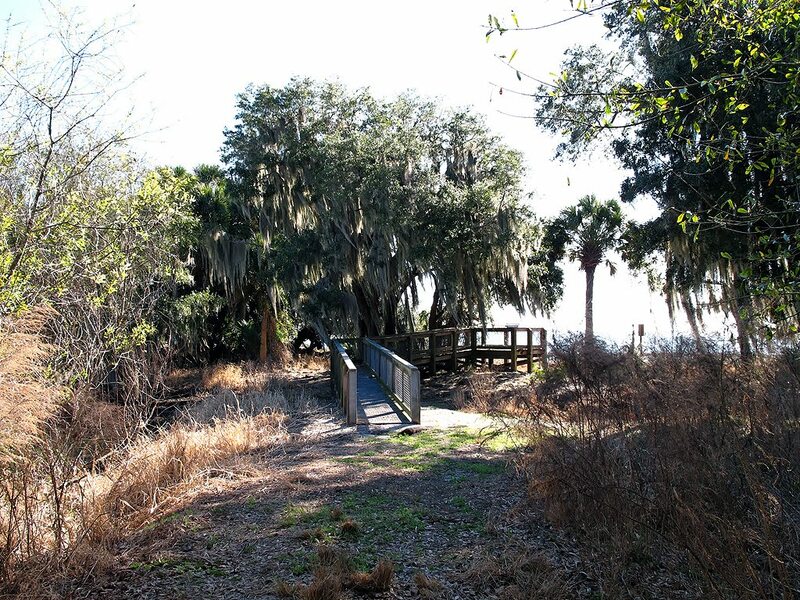 As you enter the area you will see open areas of palmettos (palmetto “lakes”). 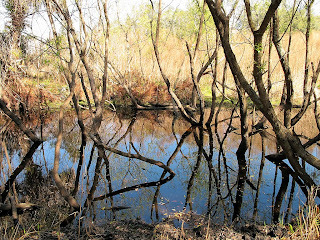 This is what you will experience in many areas in this and the surrounding Three Lakes WMA. The Scenic Florida Trail runs through the whole area, from down in the southwest corner up to RT441. The Prairie Lakes Unit not only has the orange blazed Florida Trail running through it, but as have white and a blue blazed trails you can hike. The whole area is crisscrossed with roads you can drive, bike and hike on. There is a boat launch available for Lake Jackson, if you so wish. There are a number of primitive campsites available for the public; permits to use them are required. On Lake Marian you will find an observation platform to observe the lake and its activity. On Lake Jackson a multi-story observation tower is provided for some very scenic views of the lake. At both observation areas you should be able to see a wide variety of lake area wildlife. I have seen alligators, deer, armadillos, limpkins, hawks, hogs, wading birds and different songbirds throughout the area. I’m told that there are a lot of bald eagles in the WMA, but as of this writing they have eluded me and my camera lens. I have hiked most of the blazed trails found in Prairie Lakes Unit, they are all very nice. All trails are very well blazed, but at times they seem to disappear. I had to double back a few times. 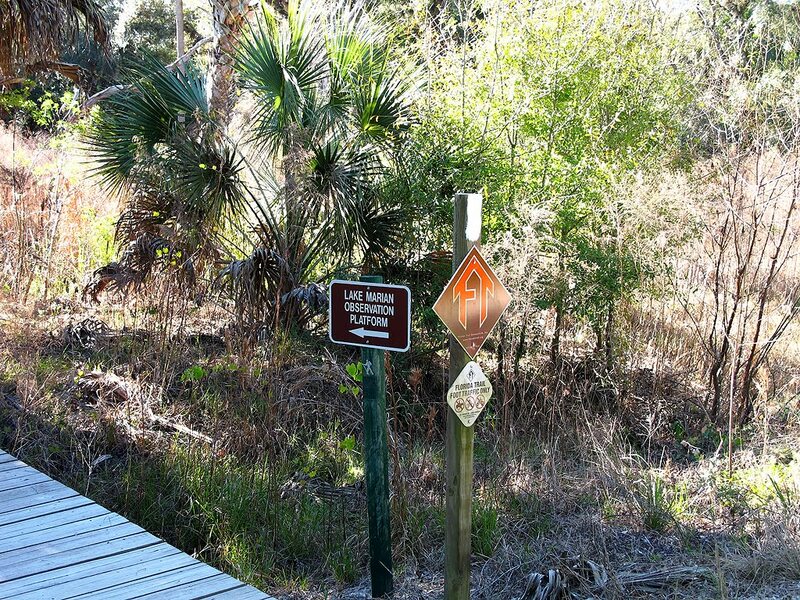 • Scenic Florida Thru Trail – trail marked with orange blazes. This is not a loop trail; it runs right through Prairie Lakes Unit. Other trails in the PLU actually are made up of part of this trail. I have elected to just follow it from a spot where it enters PLU in the South, up to the North. 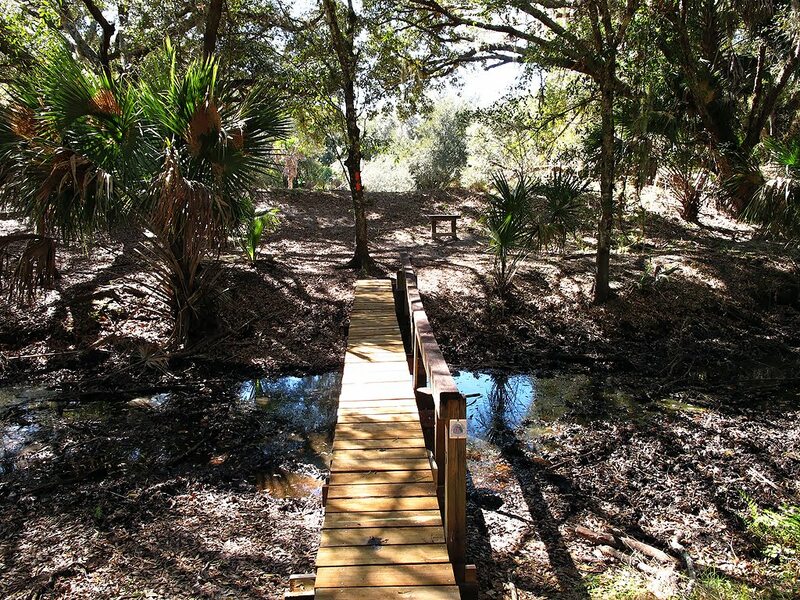 You will encounter a variety of ecosystems while hiking this trail. At least half of this trail will be in the sun, so be prepared with a hat, sunscreen and water. 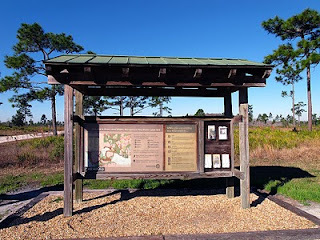 • White Trail/Orange Florida Trail Loop South(8+ miles) – this trail starts below the parking area on Prairie Lakes Road. Just walk the road a little ways south and you will see the sight referencing the trail and the Lake Marian Observation Platform. The trail exits on the other side of the road, being a loop; you can start the hike from either side. I recommend entering on the Lake Marian side. The first part of the trail is blazed using white paint. The trail is very pretty in that section, with oaks and Spanish moss. You will come to a branch off which will take you to the Lake Marian Observation Platform. The view from the platform is worth the short hike to it. As you continue the hike you will find bridges crossing the canals in the area. Eventually you will come to the Florida Trail orange blazes and from there you will follow those blazes the rest of the way. Along this section of the trail will encounter some different ecosystems. Eventually you will arrive back at the road where you started. The Dry Pond Primitive campsite is located on this trail. • White Trail/Orange Florida Trail Loop North (6+ miles) – This trail begins and ends at the central parking area. The trail winds along a canal and then up through the woods, passing near Canoe Creek Road and then looping back down to the parking area. 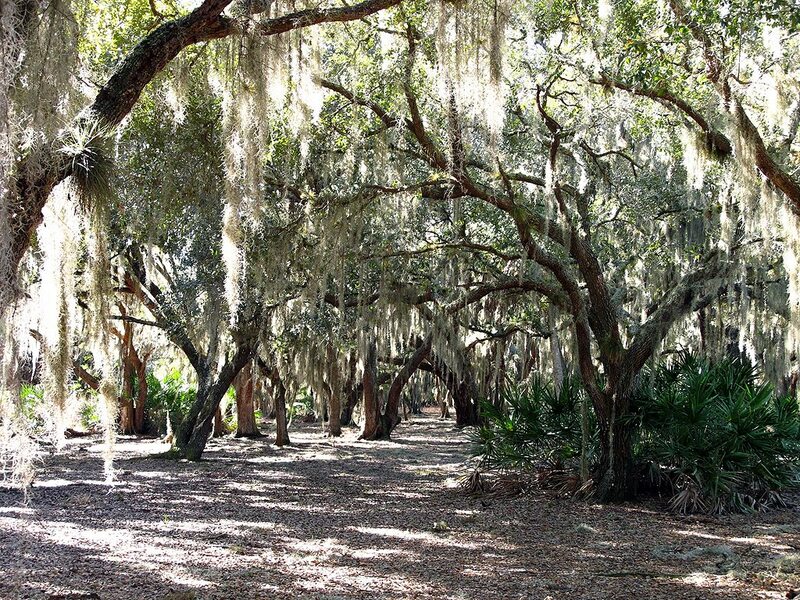 You will encounter at least two different ecosystems; a pretty wooded section will lead you into open palmetto “lakes”. It can get wet in some areas; walkovers are provided to help keep your feet dry. I hiked this loop in Jan 2014. It is comprised of large sections of open palmettos - which are not my favorite hiking ecosystem. • Lake Jackson Observation Trail (.7 miles) – this is a short hike which will take out to a multi-story observation tower. The trail is blazed white for your reference. One small section passes through the woods if you elect to take it. The observation tower gives you a beautiful view of Lake Jackson. At times it is used by the local buzzard population, so expect some droppings from them. It is worth the short trip to enjoy the view. 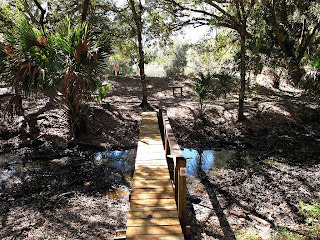 The hike I enjoyed most is the White Trail/Orange Florida Trail loop. The woods and canals are very picturesque – if you do one hike in this area, do this one.